Apple investors should shift their focus from iPhone X sales to its outsized free cash flow generation, an RBC Capital Markets analyst says. The company’s free cash flow generation is “resilient and recurring,” which could make investors very happy. With an estimated free cash flow generation of $US59 billion a year, shareholders could receive most of that in the form of buybacks or dividends, the analyst says. 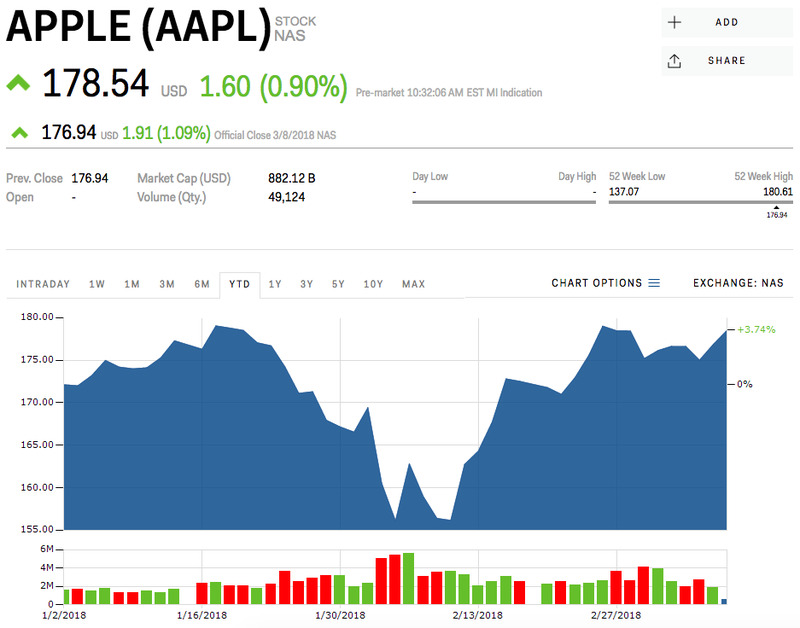 View Apple’s current stock price here. While Apple investors have mostly focused on iPhone sales growth, it is the company’s large and continuous free cash flow generation that’s worth paying attention to. With the slowdown in iPhone sales growth last quarter, some analysts on Wall Street have suggested that we have reached the end of the iPhone “supercycle” – or the period when a fresh wave of customers and upgrades follows the release of a new device – because this did not happen for the iPhone X. In Apple’s quarterly earnings report, the company said it sold 77.3 million iPhone units, down 0.9% year-over-year, compared to analysts’ estimates of 80.2 million units. Yet Apple has proven it is a money-making machine, and it can deliver to investors over and over again. Apple’s free cash flow – also a measure of the company’s financial performance – can generate $US59 billion a year, which is a 7% yield, Daryanani estimates. At the rate of $US59 billion in annual free cash flow, which Daryanani expects will grow in the mid single-digits, the company could devote 60%, or $US35 billion, to buybacks and 40%, or $US23 billion, to dividends for shareholders. Moreover, the analyst believes Apple will provide a plan in its next quarterly report as to how it expects to return its $US163 billion of net cash to shareholders. Apple has not announced an earnings report date yet. Daryanani believes Apple’s stock will continue to outperform thanks to Apple’s growing iOS installed base, which has helped the company generate its “sustained and recurring” free cash flow growth. The analyst gave Apple an “Outperform” rating with a price target of $US205 per share, 15% above its current price. Apple’s stock was trading at $US178.54 a share, and was up 3.74% for the year. Read more about how Apple could learn from Spotify’s IPO.